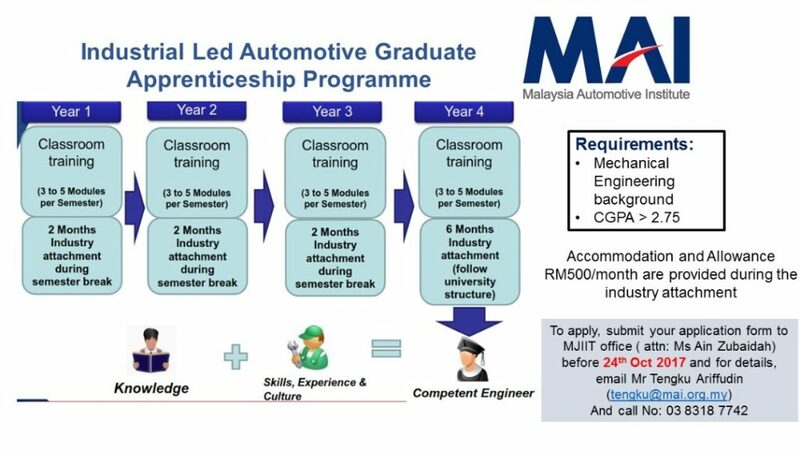 The Malaysia Automotive Industry (MAI) in collabration with industries and public universities is introducing this “Industry Led Graduate Automotive Apprenticeship” to undergraduates starting at the 2nd years of studies. The programme will be started in collabration with MJIIT next year. 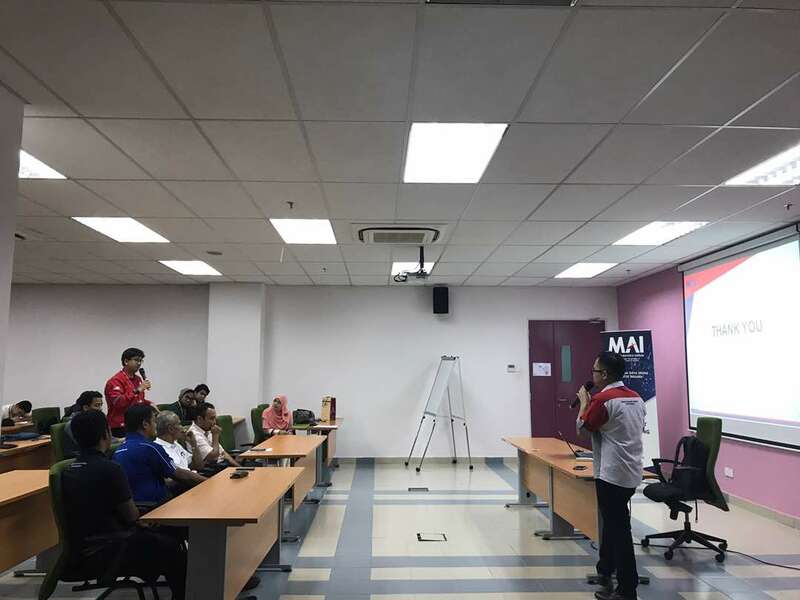 Under this collaboration, the student will be exposed to the working of the automotive industry(industrial attachement) and involving the learning of subjects taught at the university by industrial trainers, coordinated by MAI. 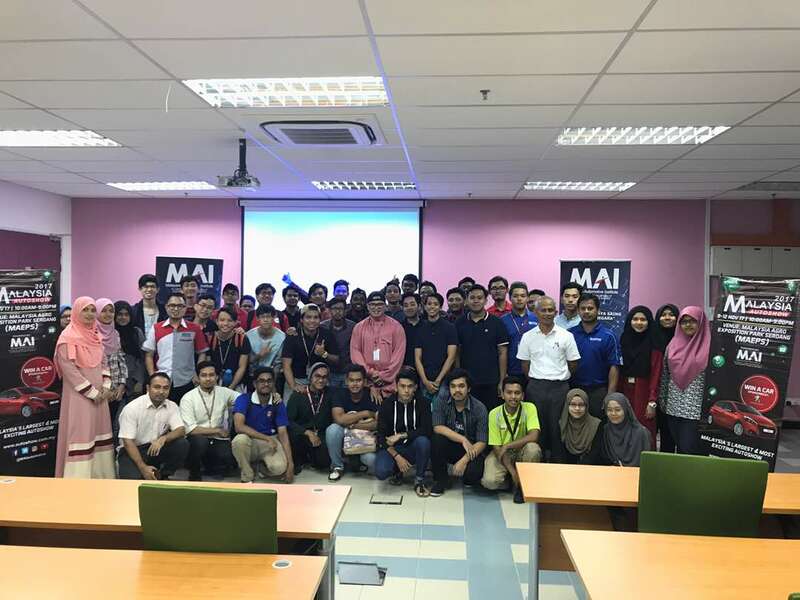 The application is open now for First cycle 2018 for 2nd year students. 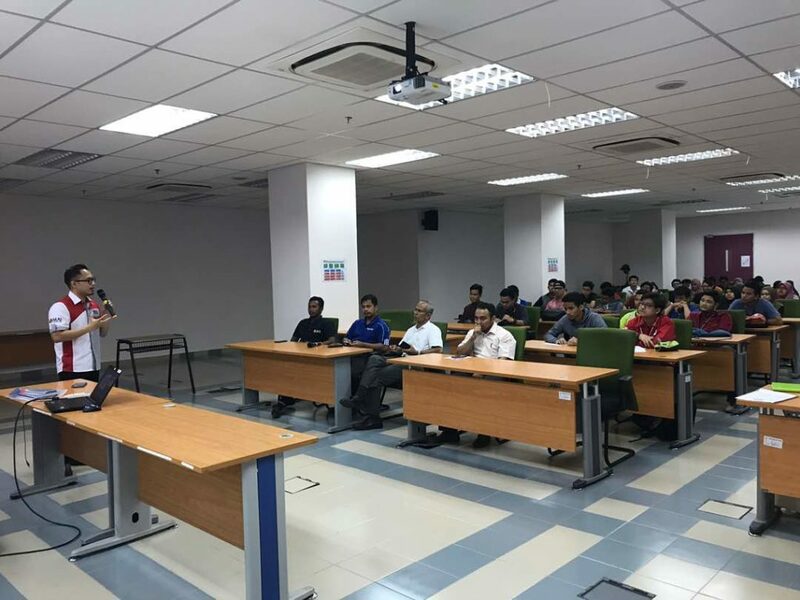 Mr Tengku Ariffudin (tengku@mai.org.my) or call 03-83187742.